BOISE, Idaho (Sept. 6, 2018) –Reid Hatley of Hayden Lake, Idaho followed up an opening round 1-over 73 with a 1-under 71 in today’s second round to take a narrow one shot lead heading into the final round at the 34th Pacific Northwest Men’s Mid-Amateur Championship. 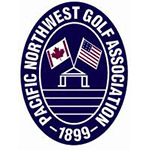 The 54-hole stroke-play championship is being held this week at Crane Creek Country Club in Boise, Idaho and is being conducted Pacific Northwest Golf Association (PNGA). Hatley entered the day three shots back of leader Jesse Hibler from Meridian, Idaho and put together a steady round to take the 36-hole lead, carding 17 pars and a lone birdie on the par-3 11th hole. Hibler followed up his opening round with a 3-over 75 today and sits one shot back in a tie for second with Don Bidinger of Bainbridge Island, Wash. and Erik Hanson of Kirkland, Wash., who matched the low round of the championship with a 2-under 70 today. Hatley has been named the PNGA Mid-Amateur Player of the Year the past three years (2015-17) and last week won the Washington State Men’s Mid-Amateur. Last month he qualified for the 2018 U.S. Mid-Amateur, and earlier this year tied for sixth in the Mexican Amateur and made it to the quarterfinals of the PNGA Men’s Amateur. The 40-year old Hibler is a member at The Club at Spurwing in nearby Meridian, Idaho and played collegiately for the BYU Men’s Golf Team from 1996-2001. He won the 1993 and 1994 Idaho Junior Amateur and competed for the IGA team in the 2018 PNGA Cup. Crane Creek Country Club has recently completed a multi-phase, multi-million dollar renovation, which included upgrades to its clubhouse, tennis facility, driving range, and significant changes to its golf course, including a completely re-designed back nine. As part of the renovation, undeveloped land was used to create a new par-4 and par-5 on the back nine, and with these two entirely new holes Crane Creek will now play over 7,000 yards and play as a par 72 for the first time. New tee boxes and approach-shot considerations were also added to the back nine makeover, and the greens have also been rebuilt with playability in mind. The 35 newly-designed bunkers will add to the course’s challenge. Format: 54-hole Stroke Play Competition (Gross only). The field will be cut to the low 60 players and ties for the final round. Age Limit: Entrants must be 25 years of age or older by the start of the tournament. Handicap Limit: Entrants must have a USGA Handicap Index or Golf Canada Handicap Factor of 8.4 or less.